The following information is geared to San Diego County residents. 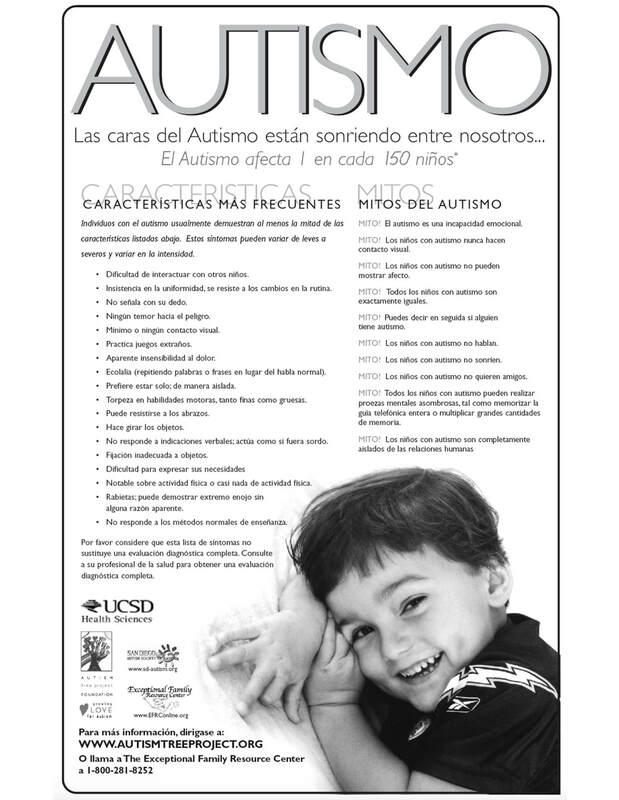 If you reside elsewhere, visit the Autism Society to find an affiliate near you. If you are concerned about your child’s development, contact the San Diego County Regional Center at 858-496-4318 if your child is under age 3 and 858-576-2938 if your child is 3 or older. To speak directly to another parent, contact the Exceptional Family Resource Center (1-800-281-8252) which coordinates directly with the San Diego Regional Center and can also put you on the right path. These agencies can guide you to appropriate information and assessment services. The child should also be evaluated by a physician to rule out any other medical conditions. Click here for a list of traits frequently exhibited by individuals with autism. A child diagnosed with autism under age 3 will be able to access early start services that may include in-home behavioral support, home therapies, and consultation with various experts. If your child is over age 3, make sure to communicate with your child’s teacher to obtain information about special education referral and evaluation procedures. For general information about diagnostic and screening tools for autism, visit the Autism Society website at www.autism-society.org. 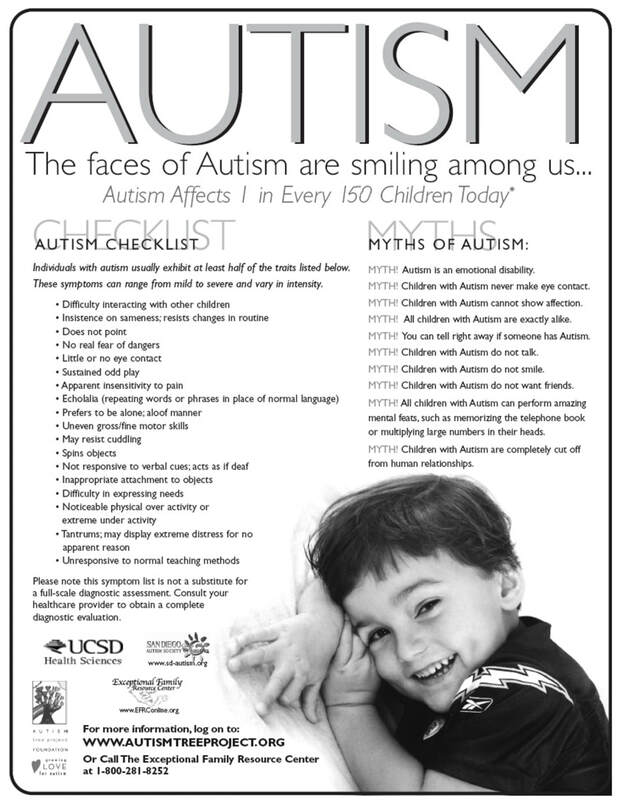 This helpful resource provides a list of traits frequently exhibited by individuals with autism in addition to dispelling common myths about the diagnosis. Please note this symptom list is not a substitute for a full-scale diagnostic assessment. Consult your healthcare provider to obtain a complete diagnostic evaluation.